McLeod Racing Bellhousing UNKNOWN - Dezod Motorsports Inc - Home of the automotive performance enthusiast since 2002. McLeod’s new Spun Aluminum SFI 6.1 Approved Bellhousing proves once again that McLeod Racing is the leader in producing state of the art driveline products.Using a spun aluminum/cnc machining process, McLeod is able to produce an extremely accurate bellhousing that is lightweight and compact in size. The McLeod’s Aluminum SFI 6.1 Approved Bellhousing weighs only13.5 lbs. But don’t let that lightweight give the impression that bellhousing is a lightweight. Added protection is provided standard with a steel inner liner or TMS Titanium Liner upon requested. We built the bellhousing with a narrow body. It accepts popular clutch and flywheel sizes but leaves plenty of tunnel room for tight builds. Our upgraded race version includes a block plate for a small additional cost. Another innovation is the interchangeable transmission mounting plate. 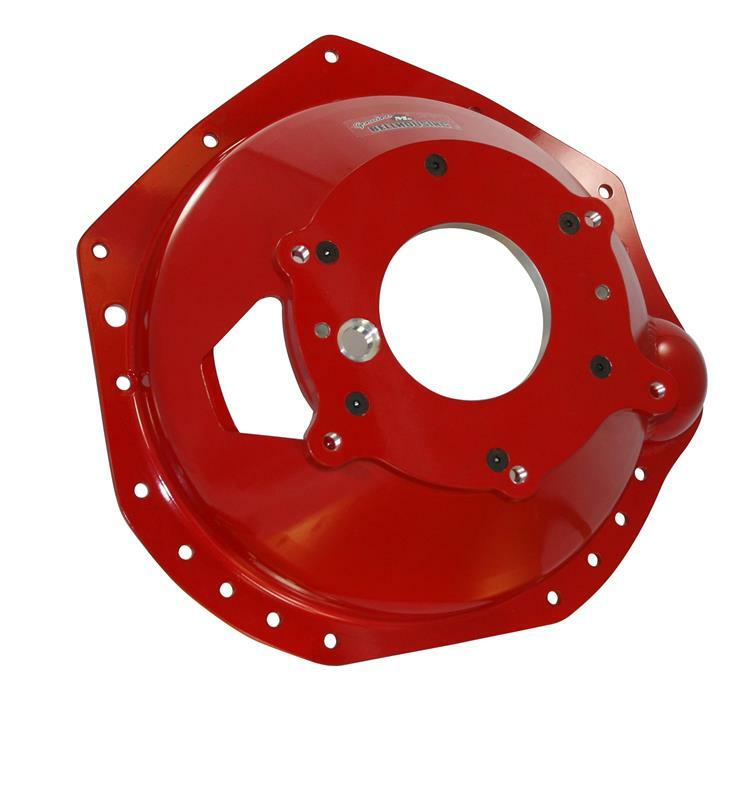 This allows for the same bellhousing to be used with different transmissions by a simple changing of the plate.